My faith in your limited intelligence is momentarily restored. I've seen more intelligent pieces of carpet! Congratulations. You three have just won the Gold, Silver and Bronze in the Morons Olympics! The most evil lady you can imagine, but mannn, you gotta love her for her statements! Who I'm talking about? 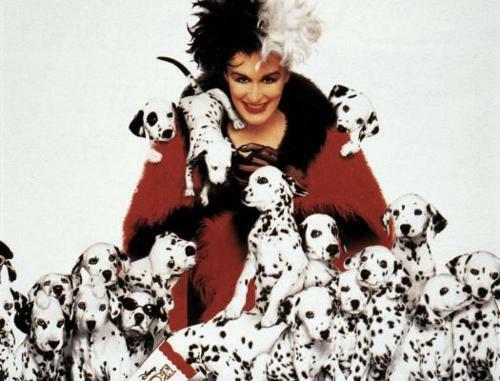 Well, Cruella de Vil of course! The cruel lady that's known for the everlasting hunt on the poor little stained puppies for their beautiful fur. 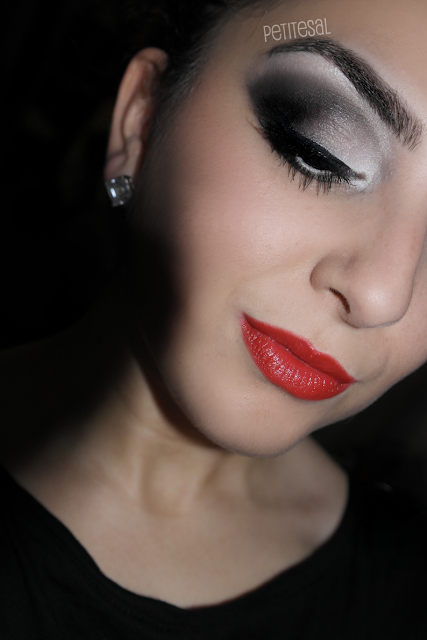 Cruel or not, she did inspire me for this make-up look! The theme for this week's make-up tag is pretty obvious I think: Cruella de Vil. 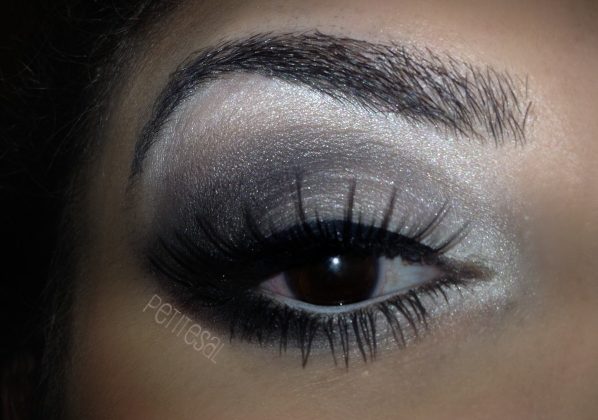 A make-up look that can be interpreted in different ways, just like the other ladies of the make-up tag did! Click here to see their work. 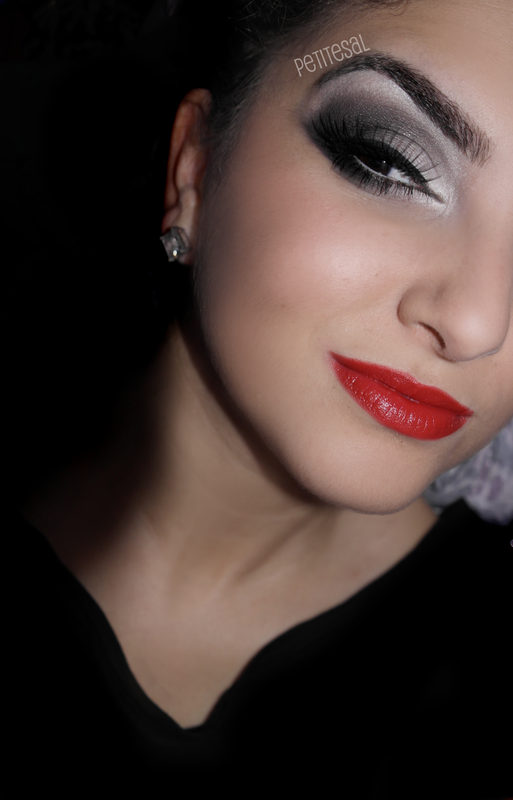 For this look I didn't exactly do her make-up look, but I did let her inspire me. 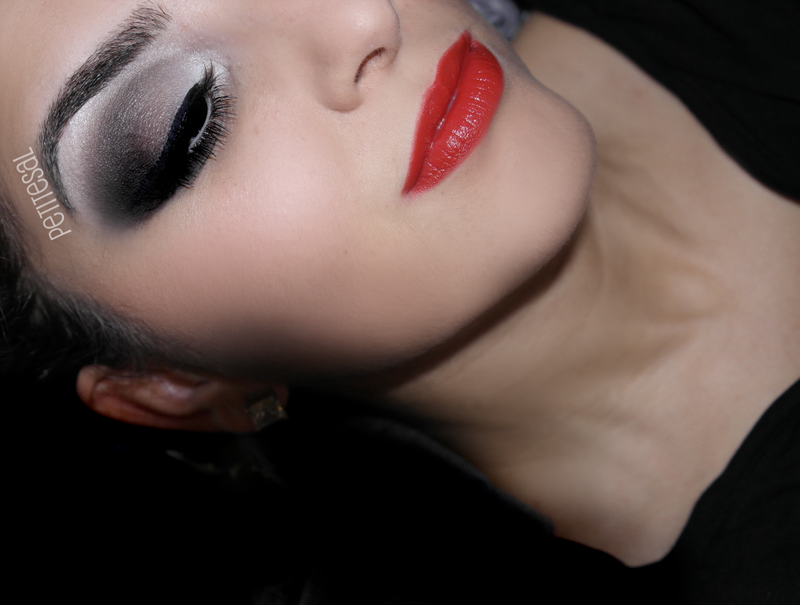 I went for a black-white smokey eye, with harsh lines, because her make-up has harsh lines too. 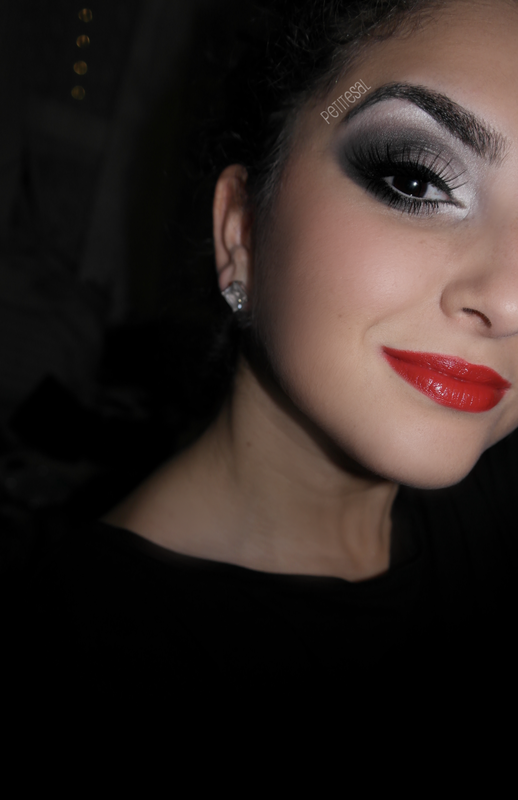 And of course, the red lippy! This time I have many full face pictures for you and only 2 close ups of my eye! The reason? It was getting dark already and I'm still trying to figure out how to take good pictures with my NEW CAMERA when it's getting darker, so please bare with me. Oh, what's that you say? Oh, yeah.. I have a new camera (casual wave). Yeah. 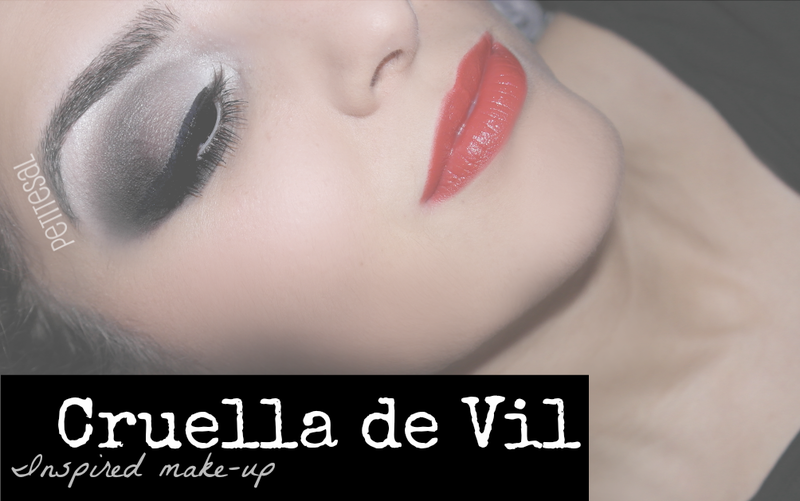 A classic look inspired by another Disney villain! I really like the Disney villains to inspire me. Hmm, not sure what that says about me. Anyhow, let me know what you think of the look and the new pictures. Still trying to make them work, though! If you'd be a Disney villain, which one would you be? Loveee this look, I was excited to see more pictures :) you look stunning! Love it! Your eyebrows are so beautiful. Ik zie dat t toestel uit de doos is heheheheh! I love the way you do make up, Sal! You look smoking hot, girrrl! 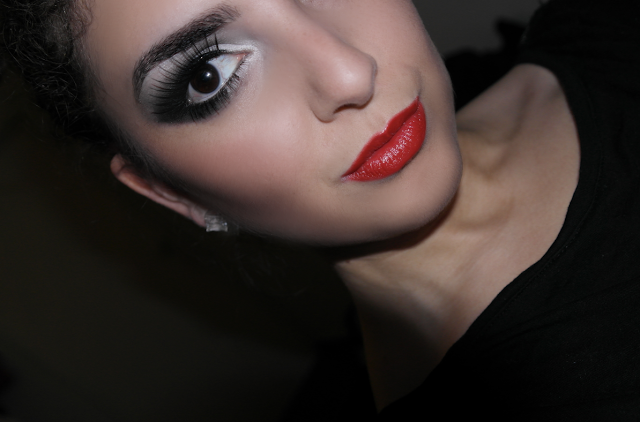 I've been compared to Cruella as I was wearing this classic red lipstick, seriously, I took it as a compliment, haha! I LOVE THIS! Greys and blacks aren't colors I usually gravitate to but you worked them so well they look extremely wearable, I also love the lip color & the foundation looks flawless, keep doing these tutorials! Your makeup looks never fail to impress me Sal! And such beautiful photography too. I wish I was that good at eye makeup! Love this look, really good job. Lipstick is really nice on your skin tone!